"This series is so gleefully weird. How can you not love it?" 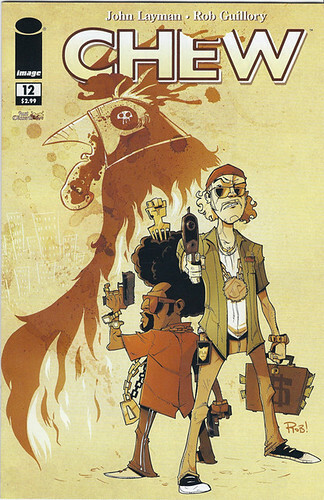 "I cannot imagine a recent release more innovative and creatively consistent than CHEW..."
"Chew is like no other book that I am currently reading, but definitely one of the best books I am reading...It is evident these guys are having a lot of fun with this, and the story has evolved into nothing short of fantastic. " "...another hysterical homerun for the funniest comic on the stands."